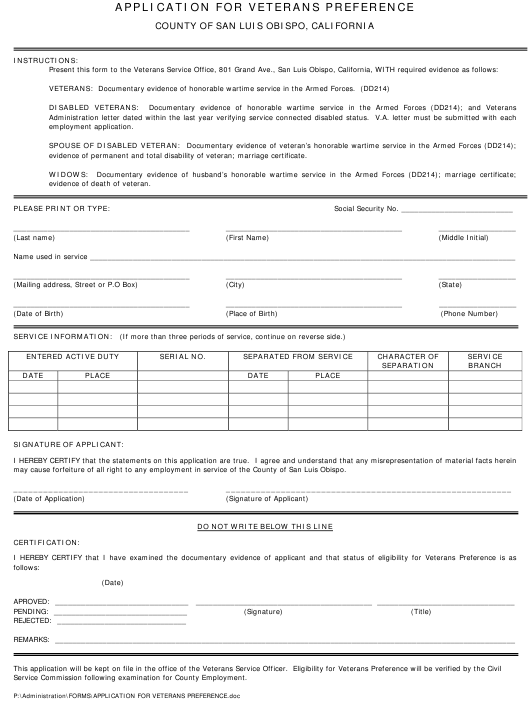 This fillable "Application Form for Veterans Preference" is a document issued by the California Department of Veterans Affairs specifically for California residents. evidence of permanent and total disability of veteran; marriage certificate. evidence of death of veteran. may cause forfeiture of all right to any employment in service of the County of San Luis Obispo. Service Commission following examination for County Employment.